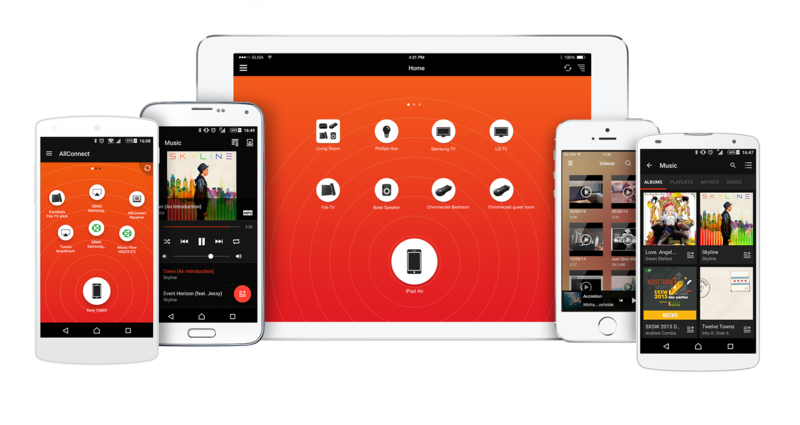 Stream what’s on your phone or tablet to any device in your home. The first app on the market built on top of the AllConnect SDK. AllConnect App enables smartphone and tablet to act as a mobile controller of home network of connected devices. Access and stream all your content: music, photos, videos and documents stored locally, in media servers, online services such as Facebook, YouTube, Vimeo and the cloud. For more information please visit AllConnect website or get in touch with our team. The SDK with full documentation is now ready for evaluation. Download AllConnect App to see how an application built on top of AllConnect works. Stream what’s on your phone or tablet to all connected devices at home. AllConnect Receiver works with all applications built on top of AllConnect SDK. Please fill in the form and we will get back to you within 24 hours. You can also email us at sales@tuxera.com or give a call to the nearest Tuxera office.